So I checked the settings Pieter is mentioning on his blogs, I did also a lot of researching, but could not find a solution for this issue, but a lot of other people with this error. After enabling this, I was able to retrieve a Certificate through NDES again. 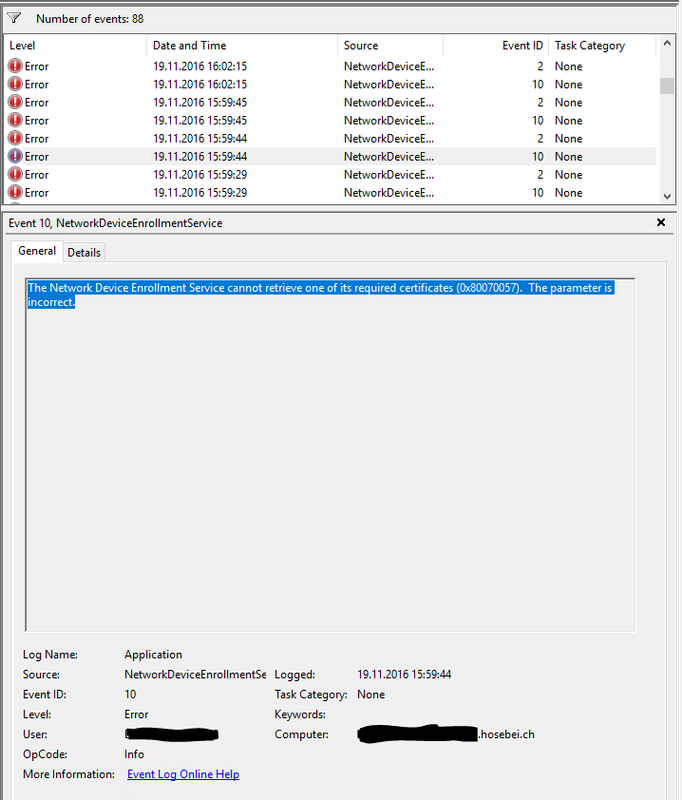 So if your NDES Server is throwing “The Network Device Enrollment Service cannot retrieve one of its required certificates (0x80070057). 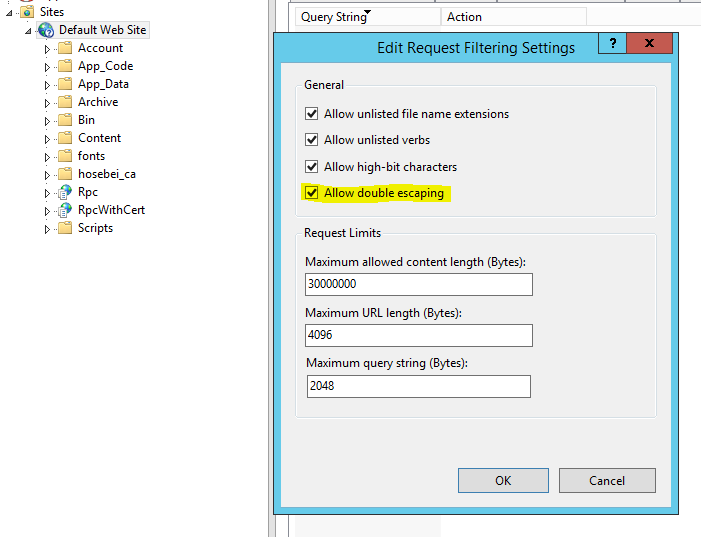 The parameter is incorrect.”, do not only check the certificates on the Server, check also the CRLs and DeltaCRLs!